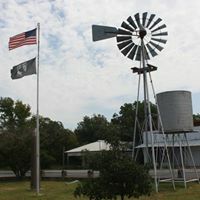 The Poolville Post has been located in Poolville since July, 2012, and from the very beginning, the goal has been to provide "Positive news for and about the people who are Poolville, Texas." The print version of the Poolville Post has been retired. It was owned, operated and published under the direction of Tacy Ellis. The online edition of the Poolville Post is its own entity, published by Greg Bade. Its primary purpose is to continue the "sense of community" that was developed during the printed version and keep it alive and healthy. It is the sincere hope of the online version that community members will continue to submit their stories, activities and significant happenings, so we can continue to keep you informed and perhaps even entertained. I will be looking for school news, church news, community news and VFD news to include in the online edition. As needs and wants grow and change, new pages or features can and will be added. It is my intention to publish the online version every two months at the beginning of January, March, May, July, September, and November. Advertising will continue to cover the cost of running a website. Ads are limited to a business card size ad and will cost $15.00 per issue (two months). For a small additional fee, your ad can be linked to your business website. 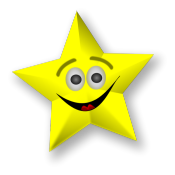 To view this feature, click on any ad or picture where you see a smiling yellow star. Classified ads are still free. The Poolville Post - P.O. Box 320 - Poolville, Texas 76487. Checks should be made out to The Poolville Post. Ad deadlines are the 25th of the month preceding publication. Please support our advertisers, and when you do, tell them you saw their ad in the Poolville Post - Online. They are the ones who pay for this publication. INFORMATION! ADS! CONTACT INFORMATION ! DEADLINES! Why should you read the online edition? While the print version of any paper is inherently more exciting and even perhaps more personal (it arrives in your mailbox after all) than an online version, it is seldom read cover to cover at one sitting, and after a few days it may be used to mop up spilled tea, start a fire or line the bird cage. The online version will never suffer those calamities. It will be here until the next issue comes out, so you can return again and again. You can also send the link to friends around the country and around the world, and they can see what is happening in Poolville. With an online version, photographs can be published in color, and interviews can be recorded live, so you can actually hear the person speak. The possibilities are staggering. Updates happen as information is received. If you want to know if there is new content, see the "Last Updated Date" below. All content contained in the online Poolville Post is copyrighted and may not be reproduced or distributed for profit without expressed written permission. Authored content copyrights belong to the authors. All other content belongs to the Poolville Post. Gloomy, damp and chilly weather seem to be seeping into every day and every bone lately. The garden tiller stands ready for a warm sunny day to do its work, plowing up the sleepy ground and preparing it for another spring. The February edition was a lot like that sleepy ground, just waiting for a warm day, but the March edition is anything but sleepy. It is full of new stories, articles, poems and a whole lot more. Two new pages have been added to the March edition - School News II, and Critter Corner. You will certainly want to check-out the new content on these two new pages. The Community News page has some important news about an annual happening that takes place the last Saturday in March. The Celebrations Page has March birthdays and anniversaries. The Featured Columns page has all new content including a day by day walk through the Siege of the Alamo, a new article from Clinton Anderson about nipping horses, a new spring article in Voices from the Past, and a new life-lesson learned while leaning on the fencepost. The March calendar is full of activities, but just to remind you, March is the month we celebrate Texas Independence Day, Ash Wednesday, Daylight Savings time, St.Patrick’s Day, and the beginning of spring…and don’t forget National Puppy Day. I dare say that this issue is one of the very best issues since the online Poolville Post began back in February, 2014; in fact, if you do not agree with me, I will cheerfully refund your purchase price -- wait, there is no purchase price. The Poolville Post is free. How can you possibly beat free? Update March 9: Contest Winner Announced - School News I Page.